The real problem is that the Scots are old. Generally speaking, from a healthcare perspective, young people are productive and cheap. Old people are less productive and expensive. Much as everyone moans about immigration, for reasons I really don't understand, it has ensured that the UK is reasonably young - but not Scotland. 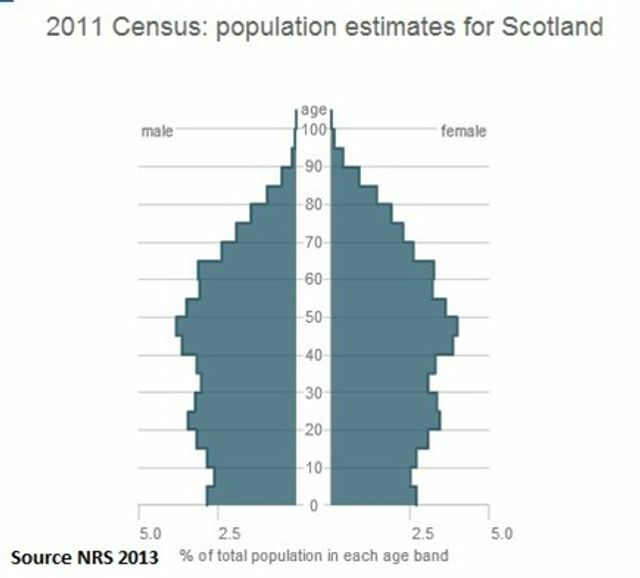 Given that the Scots already have the lowest life expectancy in the UK (lower than any other region by between 1.3 and 2.5 years), if I were 55 and Scottish I would be very alarmed right now. The number of households headed by people aged 65 and over is projected to increase by almost 60% between 2010 and 2035. In contrast, households headed by someone aged under 65 are projected to increase by just 10%.